An investment is anything that you buy with the hope that it will become more valuable over time. Stocks, bonds, your home, your collection of perfectly preserved baseball cards, paintings, gold, silver — even the cash you put in the bank — are all investments. 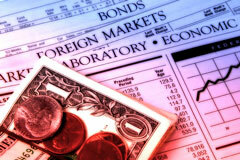 Bonds: Also called fixed-income securities, bonds are debt instruments. The most common bonds are Treasury bonds (sold by the U.S. government), municipal bonds (sold by municipal governments including cities and school districts), and corporate bonds (sold by companies). When a government or corporation sells a bond, they are asking you, the investor, to loan them a certain amount of money, which they will repay at a specified time with interest. When secured by stable governments or companies, bonds are a relatively secure investment, but the typical rate of return on a bond is relatively low (compared to the potential rate of return on stocks, for example). Stocks: Also called equities, stocks represent ownership of a company. When you buy stock in a company, you become a shareholder (a part owner) and are thus entitled to vote on certain company decisions and receive dividends (returns on the company's profit) when the company issues them (not all companies do). Stocks are most often a riskier investment than bonds, but also tend to have higher rates of return. Mutual funds: A mutual fund is a collection of investments, most often stocks and bonds (though some mutual funds invest only in real estate, cash equivalents, or commodities). When you purchase shares of a mutual fund, you're pooling your money with other investors', which enables you as a group to hire a professional manager to select securities for the fund to invest in. Most mutual funds specialize in a certain type of investment, such as large or small cap stocks, government bonds, corporate bonds, stocks in certain industries, or stocks in certain countries. The benefit of buying mutual fund shares over buying individual stock shares is that a professional manager chooses the securities to invest in, so that you don't have to choose them and manage your portfolio yourself. Thus, you can keep your day job and still be a successful investor. Cash and cash equivalents: Certificates of deposit (CODs), money markets, and bank deposits are all considered cash equivalents. Often, these investments are highly liquid and quite safe (some are even guaranteed by the FDIC), though they usually offer the lowest rates of return of any investment type. The most successful investors have some of their money invested in each major type of investment — they diversify their portfolios. Depending upon your stage in life (how close you are to retirement) and your risk tolerance, you may have a greater or lesser percentage of your money invested in stocks, bonds, or mutual funds. Most investors invest only a small percentage (5-10%) of their portfolios in cash and cash equivalents. For a list of questions to ask before you put your money into any investment, visit the SEC's Investment Opportunity Questions web page.